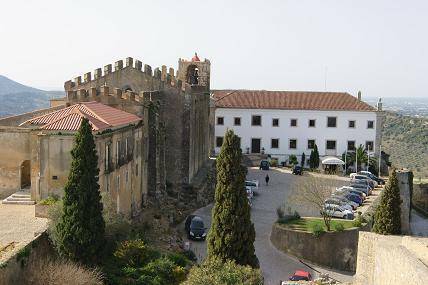 Pousada of Palmela nestles within the Castle, with the old Convent Cloisters incorporated. Located on the top of an imposing hill, you have a panoramic view known as one of the most impressive of the country. 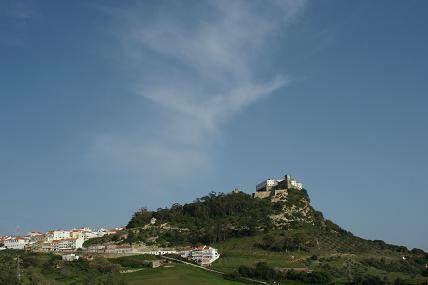 It was built as a monastery within the castle walls in 1482, on orders of João I and dedicated to St. James. Its use as a pousada kept it from falling into ruin, and the skillful, unobtrusive conversion preserved the classic look and feel of a cloister. 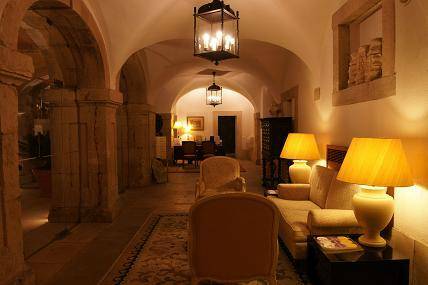 On the crest of a hill, the pousada is traditional in design; a huge square building opens onto a large courtyard, and the lower-level arches have been glassed in and furnished with lounge chairs. With all its austerity, it is possible to enjoy its interior in a comfortable way that preserves a lot of the 17th century. 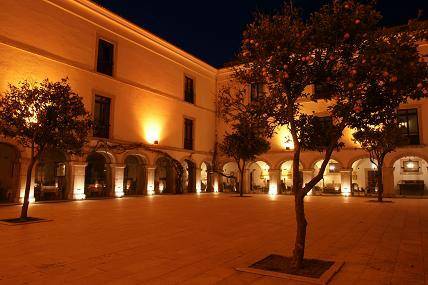 There is the possibility of organizing exclusive Weddings at the Pousada. 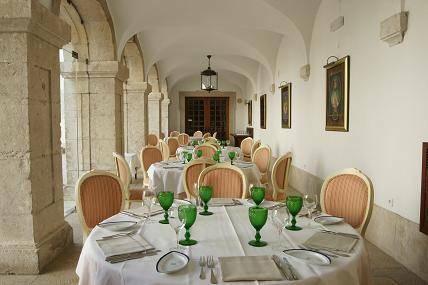 The Pousada has 15 Standard Rooms, 6 Superior Rooms, 6 Suites and 1 Special Suite. For those travellers wishing to explore the area, Pamela is also the perfect starting place to discover the Costa Azul and the magnificent Arrabida Natural Park. Palmela boasts excellent wines and superb cuisine. Specialty Restaurant Menu: Stuffed Crab, Dover Sole In A Beer Marinade, Chicken Pot Stew, Regional Eggs Pudding. Cancellation Policy without penalty within 48hrs from the estimated arrival date. No-Shows: Full stay charged by the Hotel.